All of us have grown old while watching the J.K Rowling’s fantasy and magical series- led by Hollywood actor Daniel Radcliffe with his character as the protagonist ‘Harry Potter’. 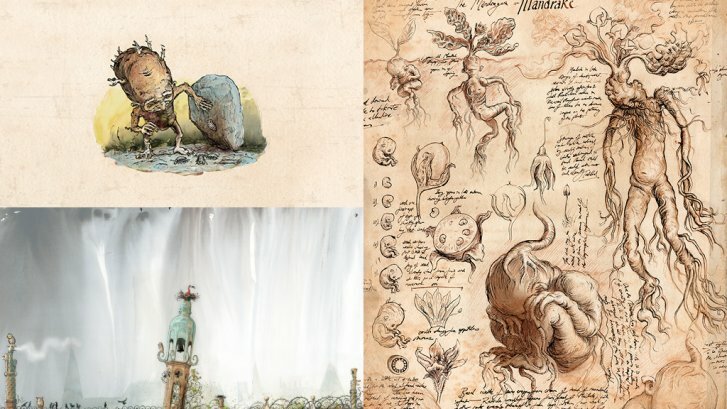 Jim Kay has once again left us speechless and stunned with the beautiful illustrations of the second Harry Potter story, ‘Harry Potter and the Chamber of Secrets’. The book takes us on a roller coaster ride and we get trapped in the magical world of Potter land. Here are some of the illustrations from the book. The book is itself a wonderful delight and presents everything for Potter heads- from a comprehensive da Vinci-esque study of Mandrakes, to an exquisitely detailed portrait of Rubeus Hagrid. The book features 115 new colour images, and was decided to be published in more than 21 languages worldwide, so that majority of people across different geographies can enjoy Kay’s artwork. 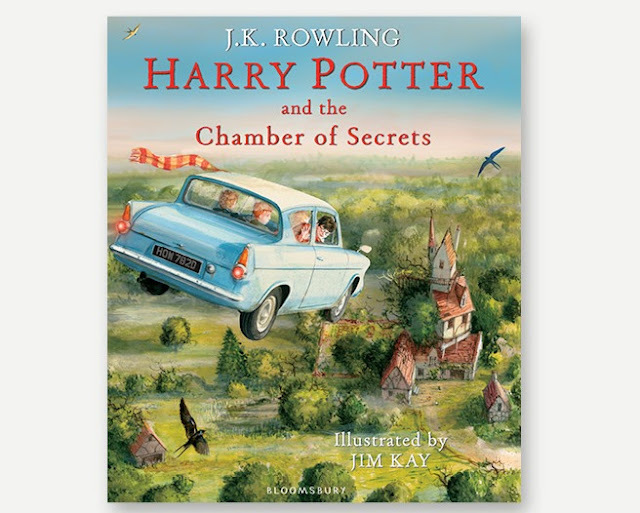 The front cover, similar to that of the original, features Mr Weasley’s iconic flying Ford Anglia. What makes this book even more interesting is- Kay’s take on the pesky, potato-headed gnomes that cause the Weasley’s endless stress at the Burrow, a beautiful illustration of a female phoenix, and an ethereal take on the towering Hogwarts castle at night. We could have never imagined that art could transform something in such a way that it becomes more eye-catchy, charismatic, and fascinating for existing and would be fans. Kay’s previous work of art has already delighted us with unique etchings in Harry Potter and the Philosopher’s Stone Illustrated Edition, and the artist is not done yet. Kay will be working his way through all seven books to give us his unique and tempting visions of J.K Rowling’s imaginary but real world. Kay has brought all the adventures for all the fans once again and yes, he has nailed with his great work of gorgeous art. J.K. Rowling is the author of the record-breaking, multi-award-winning Harry Potter novels. Loved by fans around the world, the series has sold over 450 million copies, been translated into 79 languages, and made into 8 blockbuster films. She has written three companion volumes in aid of charity: Quidditch Through the Ages and Fantastic Beasts and Where to Find Them (in aid of Comic Relief), and The Tales of Beedle the Bard (in aid of Lumos), as well as a film script inspired by Fantastic Beasts and Where to Find Them. In 2012, J.K. Rowling’s digital company Pottermore was launched, where fans can enjoy her new writing and immerse themselves deeper in the wizarding world. J.K. Rowling has written a novel for adult readers, The Casual Vacancy, and also writes crime novels under the pseudonym Robert Galbraith. As well as receiving an OBE for services to children’s literature, she has received many awards and honours, including France’s Legion d’honneur and the Hans Christian Andersen Award.